Boost your Online Business with our Digital Marketing Services. We make you Brand in the Current Market. Drive relevant traffic to your website and increase your online sales. Bitware Technologies have certified experts in SEO – Search Engine Optimization to increase your website visiblity in Search engines in Organic way. SEO- Search Engine Optimization – Reach your customers through Displaying Organic text Ads on search engines like Google, Bing etc. We stand apart from other marketers and SEO Agencies as we build our own strategies by studying clients business and market competition. We implement all the factors which are needed for Strong and unbeatable top page rankings. Out team members are specially trained under Google guidance and are well known with every policies and algorithms. With Bitware Technologies, highlight your website, online business and product’s, reach your customers in an organic way. We firstly perform an audit and analysis of your website, gathering information of all the pages, size of pages, images etc. Study your competitors position, their reach, we plan our detail strategy , keyword researches as well as ideas on optimizing meta tags and title tags. With proper optimization and audit work on the website we keep on going with large number of optimizations on the website to making sure that content is being properly indexed & keywords properly are being picked up with estimates along with H1 and H2 tags are being effectively used to allow Google and other search engines to rank the website. We keep engaging in lots of preparation to make sure that our client’s website meets numerous technical standards making sure that visitors should be easily able to access the website & search engines should be able to easily and effectively crawl the website’s content. 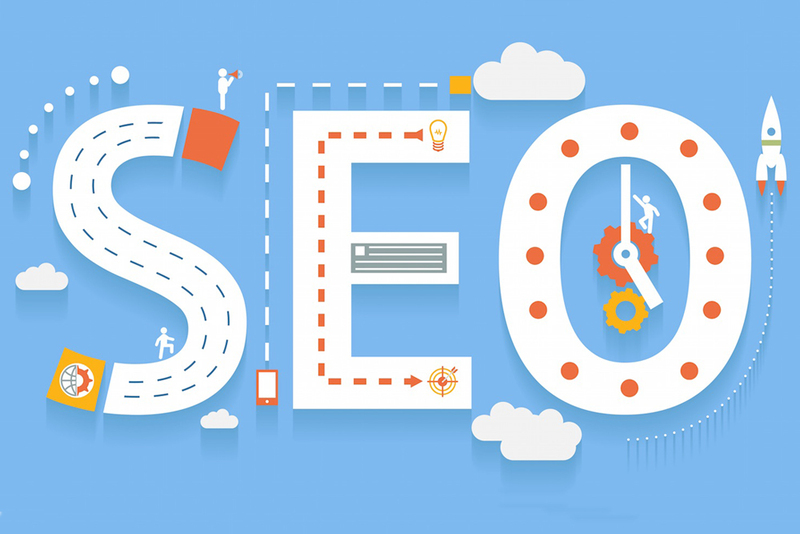 Search engine optimization (SEO) also requires the maintenance and creation of optimization techniques outside of website which is called as off page optimization. Strategies are well planned and implemented through the process of off page optimization which includes submitting your website to directory submission, social bookmarking, and other sources of information. PR Link building practices & press release, with relevant content and incoming links are created to improve relevancy and traffic to website from other sources. Search Engine Marketing Service by Bitware Technologies helps you to promote your website business online and reach the right audience at right place. SEM – Search engine marketing, when it comes to search engine marketing also known as PPC, pay per click, cost per click, pay per view and many more. These are paid ads which are shown in Google, create your paid ad today and boost your online business with Bitware Technologies Paid marketing services. Online Search Marketing plays an integral part in today’s world of business and marketing strategies. As more & more people are switching online to search for information & products, placing yourself in front of the eyes of web users with an attractive and relevant impression is extremely important in establishing a solid online presence. Pay-Per-Click/Pay-Per-View (PPC/PPV) or Paid Media, is the most time-effective option for driving instant traffic to an online storefront. PPC/Paid Media comes in various forms, but the basic principle remains same: bid against other competitors/advertisers to gain the best possible creative/ad placement through various market targeting criteria, drive good traffic, attract a click, & convert visitors once on-site. Paid media marketing is a very powerful channel for driving quickest online results. There may be varieties of avenues to leverage to put your business/brand in front of new audiences and hit your KPIs depending on your business. Ad network targeting reaches never imagined heights. Developing customer personas allows us to evaluate each & every network uncovering the perfect targeting mix to put your offering in front of the most qualified audiences with the most compelling message. Whether its leads, page views, sales, or brand awareness, the various paid marketing media channels are highly data-driven and are the quickest way for you to reach your online goals. We will specially audit each channel and use current data to get the odds in your favor. What’s our Process for Better Results? We listen to you, your ideas your goals, understand your model of business, past & current marketing efforts, and conduct an in-depth audit of your website and current Paid Media accounts (if you currently have any). We research your competitors/competition in your industry. Through available advanced toolkits, we’re successfully able to gather insights from their successes and failures. Factoring these insights into your strategy, we analyze create a data-driven plan that gives your business an online competitive advantage over the competition. We develop a well defined custom strategy based on our discovery phase and deploy a team with expertise across all major ad platforms. Search Engine Marketing (SEM) – Google, Bing, Yahoo, etc. Facebook, Twitter, Google+, Instagram, etc. We design the creative used across all ad channels to be highly engaging and draw clicks. Our ad creative follows message-matching best practices, which aligns our ad copy with the content on the landing pages those ads direct to, providing a seamless and transparent user experience. Our landing pages have been engineered through experimentation to have extremely high conversion rates. Social media marketing is the process of gaining attention or traffic through social media sites. Bitware technologies helps you to reach your audience in a very fast way, makes you stand in the market and in an upper level form your competitors. Social media isn’t just for sharing memes of LOLCats. These days our favorite viral sensations are to share social media landscape with high targeted advertisements and for good reason. With billions and trillions of users going worldwide, social networks possess valuable insights about users’ interests, likes, & habits. The most advanced targeting options, mobile prevalence and reliable conversion tracking make social networks one of the most viable platforms for online advertising. Whether you’re looking to find new clients or to retarget existing clients, our paid social team at Bitware Technologies Marketing has developed very well proprietary processes to target your core audience using funnel strategy, interest targeting, custom targeting, and A/B testing. Our social experts combine data-driven targeting & their expertise skill sets to optimize your ROI. In this competitive social advertising market, it is very much critical that your brand has the best strategy of targeting in place. Our team develops top-notch targeting through in depth research and data pulled from Analytics and Facebook’s Audience Insights, approaches for our clients. Our team’s priorities are always aligned with those of our clients. We ensure that all of our client’s meet their KPIs and focus on generating the highest CTRs, lowest CPCs, and driving the biggest ROI. We utilize interest targeting features on Facebook to reach your desired audience. At Bitware Technologies Marketing, we take it one step further with A/B testing of Creative’s & Ad Copies. Then, we go on with additional testing to make sure our ad spend is reaching to the right Audience. Just like you, we don’t want any precious ad dollars going to waste. “As all know – Content is king” – easily one of the most repetitive phrases in world of marketing industry. And it is no exception in social advertising. At Bitware Technologies Marketing, our paid social team works closely with our content department to produce crisp and clean content for your blog or landing pages. This content is customized and very strategically designed to drive the most relevant audiences to your website by increasing conversion rate & generating more sales. Facebook’s ad retargeting is one of the most powerful features available to social advertisers and it is absolutely crucial to the success of your social ad strategy. We use social/custom retargeting capabilities to identify and create both broad & specific audiences, customizing them by targeting a specific demographic, getting more granular with connections such as interest, activities, & behavior. Our social creative experts use list-based, pixel-based, or custom lookalike audience methods to implement the most effective retargeting plan for your business, leading to an improvement in overall campaign performance and better use of your ad spend. With the helps of our Google Analytics service we lets you measure your ROI as well as track your video, Flash, and social networking sites and applications. With the help of Google Analytics service, we Bitware Technologies analyze data of our clients from all of the touchpoints at one place, for deeper understanding of our client’s customer experience. We dig in depth with analyzing data from analytics and share the insights with you. With Google Analytics you can see the traffics and track the goals/conversions from specific platform, paid, referral, organic etc. Get your website traffic details by location, device, platforms, users and many more insights with graphs and charts and in depth data. We help you to understand your business traffic and help you to target specific country or city with help of our expert team of Google Analytics.